Poseidon Hotel is situated at a distance of just 14 km from the center of Patras, in Kaminia of Achaia, by the Old National Patras-Pyrgos Highway Road, near the sea, in a beautiful green landscape, where someone can enjoy moments of calm and relaxation. Whatever the reason of visiting the city of Patras is, the hotel ensures a comfortable stay in a pleasant enviroment with modern design and friendly as well as impeccable service. The family atmoshere and the friendly smile of the owners and staff, will make yu feel like being home from the time you reach us. Situated just 20 minutes away from the city of Patras, 12 km from Araxos Airport, has the privilege to be located at a central point for anyone who wish to explore the delights of Western Achaia. Its geograhical location makes it easily accessible to major tourist attractions of Western Greece. (just 85 km from Ancient Olympia and 80 km from Kalavryta). During the summer months, in a close distance to the hotel lie the best sandy beaches of Western Peloponnesse where the guests can enjoy a swim in Kalogria beach, Gianniskari, Kounoupeli or wander the unique Strofilia's forest. Finally, due to the close proximity of our hotel from the Industrial area of Patras (this is the exit when coming from the New By Pass Highway Road), Poseidon Hotel is a benchmark for hosting corporate representatives from the very first day of its operation. Do not hesitate to communicate with us for the special rates we provide for co operating companies. The geographical location of Poseidon Hotel, distinguishes it as unique of its kind, since it provides direct access to the tourist attractions of Western Greece (at a distance of 85 km only from Ancient Olympia and 80 km from Kalavryta). Furthermore, during the summer season, the wonderful sandy beaches of Western Peloponnese, extend only a few kilometers from the hotel, where our guests can enjoy their swim at Kalogria, Yianiskari, Kounoupeli, or can wander in the unique Strofylia forest. The hotel was built in 1991. The first renovation was accomplished in 1996 and in 2005 we added colour through a general renovation of all accommodation facilities. 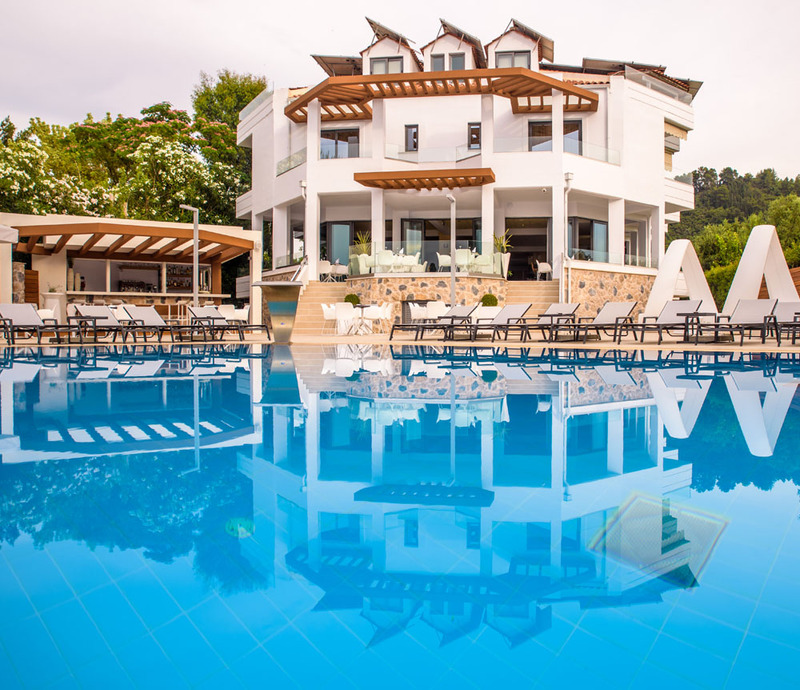 Poseidon Hotel has 43 modern and comfortable standard rooms as well as 2 suites, combining your summer vacations with/or your business activities in our region.